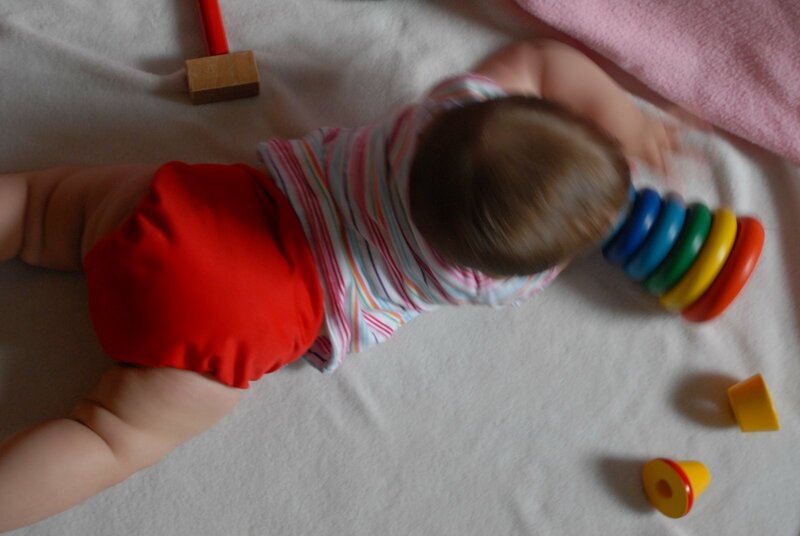 There are many different types and brands of cloth diapers available on the market today. With so many choices, how is one supposed to know where to start? Here’s a quick guide in explaining the different types of cloth diapers. On Monday, I’ll have access to the Internet again and will add some photos to this post as well as catch up on my lack of blogging over the weekend (including some extra contests and discounts, I’m thinking?). 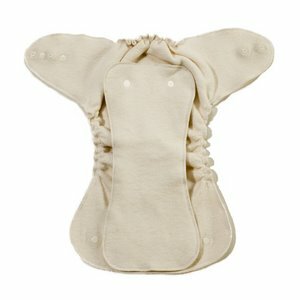 Prefolds- These are the traditional, rectangular diapers you think of that usually require a pin or Snappi to keep them on the child. You will also need a waterproof cover to put over it or you’ll have a leaking problem. 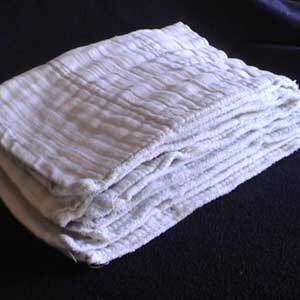 Indian and Chinese prefolds are the most common types (made of cotton), but you can also get diapers made from flannel, hemp, bamboo, and other fibers. I’d say the average cost of a prefold is about $1.50, and one size will last a long time (infant, baby, toddler sizes). Fitted- Similar to a prefold in the fibers used and needing a waterproof cover, these diapers are actually contoured to the shape of a “regular” diaper. You just fold the flaps up and over, pin/Snappi or velcro in place, and whola! you’ve diapered your baby. There’s usually elastic around the waist (and/or back) and leg areas to keep the diaper a bit more snug than a prefold. Throw a doubler on top (inside the diaper) for extra absorbancy. The average price for one diaper is around $11.00. Contour- Think of this diaper as a fitted diaper but with no elastic or closure mechanism. It’s basically a diaper cut into a shape that allows you to wrap it around the baby and then snappi/pin in place or leave as is (you can often do without pins since the wings provide a good wrap). It does need a waterproof cover and runs around $7.00 a diaper. 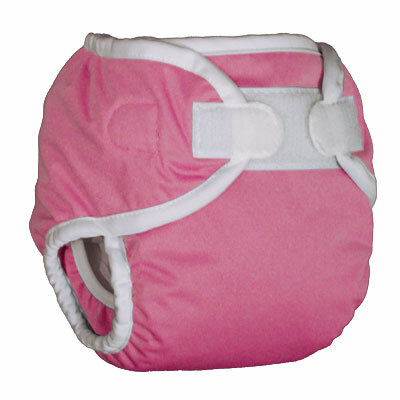 Pockets- This type of diaper has a wicking fabric on the inside touching the baby (often a microfleece) and a waterproof fabric on the outside of the diaper (often a PUL), fastening on the baby by way of snaps or velcro. In between the two layers, there’s a “pocket” area that usually opens in the back, but can sometimes be found in the front or as in the case of Pocket Change diapers, the opening is in both the front and the back. 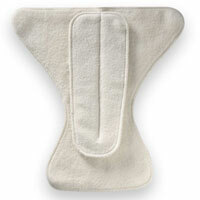 The pouch allows you to put a doubler aka insert aka soaker inside to adjust the abosrbancy of the diaper. This is just a piece of microfleece, hemp, or other absorbing material. Since the microfleece wicks moisture, it pulls it away from the baby and allows the doubler to absorb it, keeping the baby’s skin nearly dry. There is elastic around the legs and waist (and/or back) for a snug fit. Average price per diaper with an insert runs around $16.00. All-In-One– Also referred to as “AOI” diapers, these are like a pocket diaper except that the doubler part is actually sewn into the diaper as an extra layer. These are great for the convenience they offer, but do take longer to dry since they’re thick. There is elastic around the waist (and/or back) and legs for a snug fit. Average price per diaper is around $16.00. All-In-Two– Similar to the AOI diapers, these guys actually allow you to lay or snap an insert into the diaper instead of stuffing a pocket or having a layer sewn in. There is elastic around the waist (and/or back) and legs for a snug fit. Average price per diaper is about $16.00 with an insert.